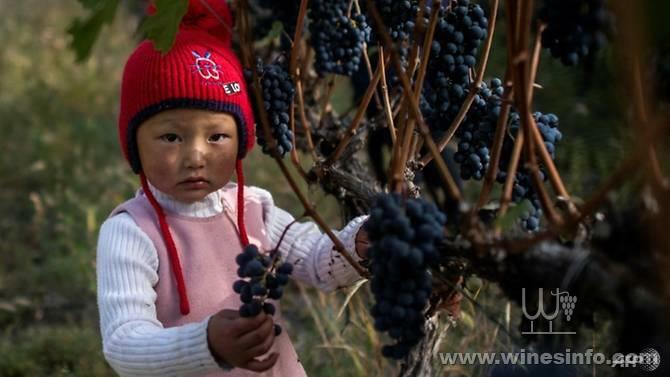 ADONG, China: A US$300 bottle of wine sold in the United States and Europe is made in the unlikeliest of places: at the foot of the Himalayas in China, where farmers sing traditional songs while picking grapes. 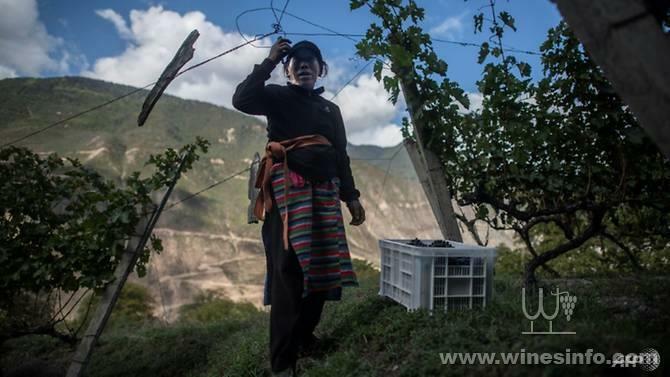 A stone's throw away from Tibet, Ao Yun's vineyards are located beneath the sacred Meili mountain at altitudes ranging up from 2,200 metres in the southwestern province of Yunnan. While wine consumption is soaring in China, it is not known as a major producer, but French luxury giant Moet Hennessy has bet on this remote location to show the Asian country can produce a first-class bottle of red. It took four years for the company to find the ideal spot in the vast country and the result was Ao Yun, Chinese for "flying above the clouds", which debuted in 2013. "The place is magical, it has this wild side," Maxence Dulou, Ao Yun's estate manager, told AFP as he carefully inspected the grapes at one of the vineyards. Dulou, 43, said he had "dreamed" of discovering a great "terroir" - the unique French term for the ground and climatic conditions in which grapes are grown - in China since his university days. The company wanted to show that a great wine could be made in China, where even local consumers trust French wines more than homegrown products, he said. The smooth full-bodied blend of Cabernet Sauvignon and Cabernet Franc has surprised many wine lovers. Only 2,000 cases are produced per year and are sold in China, other Asian countries, the United States and Europe. Moet Hennessy leased the vineyards for 30 years from local farmers in 2012 - a decade after the municipal government encouraged villagers to switch from growing barley to grapevines in an attempt to kickstart the wine industry. But without proper knowledge or training, they floundered until the luxury giant turned up, bringing a wealth of expertise and resources to four villages: Adong, Shuori, Sinong and Xidang. The vineyards are situated in the middle of the Mekong, Yangtze and Salween rivers, a unique location which boasts moderate temperatures all year round so the vines do not need to be buried to prevent them from freezing in the winter. The property is divided into more than 300 small parcels spread over 28 hectares and grapes are harvested by hand, requiring four times more work hours on average than the biggest vineyards in the world. 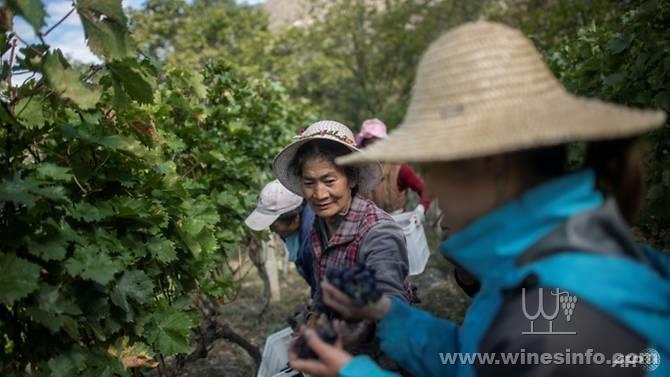 For villagers like 42-year-old Ci Liwudui, who leases out his land and has family members working on the vineyard, the transformation of the farms that once grew basic crops into bustling, profitable businesses was a godsend. "It has brought good changes to the four villages, lots of change, we don't have to worry about money, people don't have to go out to work laborious jobs anymore," Ci said. Dulou attributes the wine's success to the collaboration between East and West. "The Chinese are very creative and they are not afraid of change and that's extraordinary because you can be the most creative in the world, but if you are afraid of change there is no creativity," the viniculturist said. China's appetite for wine has matured over the last 10 years, led by its burgeoning middle class. The country is set to become the world's second largest wine consumer by 2021. 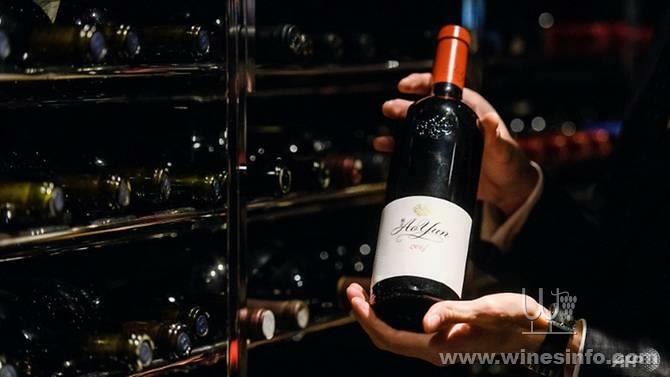 China's wine market was worth US$71 billion in 2017 and is expected to grow 27 per cent in the next five years to nearly US$91 billion, according to research group Euromonitor. However, Chinese consumers are turning their noses up at local wines, as imported wine consumption grew over 17 per cent year on year in 2017 while domestic wine sales plummeted for the fifth consecutive year. Chinese wine has had a history of inconsistent quality, but Dulou is determined to change the prejudice attached to the term 'Made in China'. "I think that little but little, Chinese people will realise that we can make great products in China, notably wines," he said. "We do everything with passion, and we do it with utmost precision to make the best wine possible, to have the best grape possible, and to be one of the companies that revamp 'Made in China'."